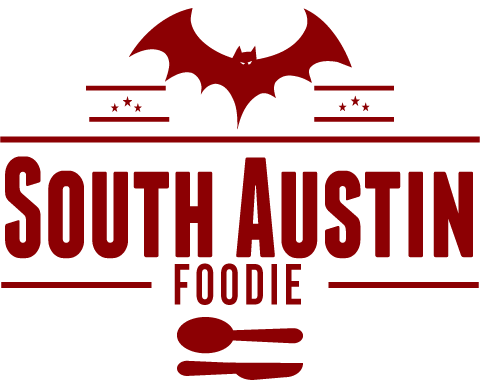 South Austin Foodie: Rosso + Flynn: Nice to Meat Ya! 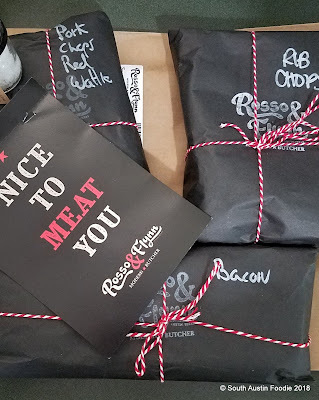 Rosso + Flynn: Nice to Meat Ya! 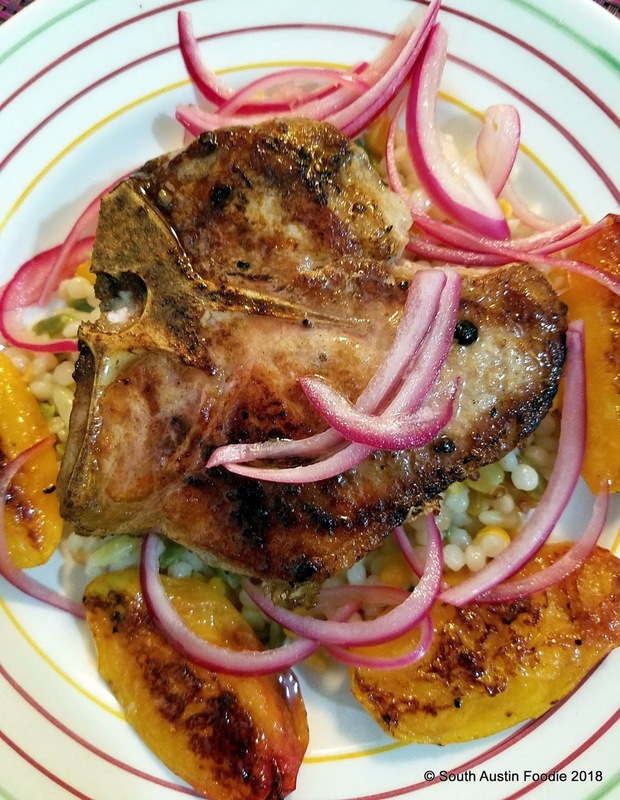 Red Wattle pork chops with pearled couscous, grilled peaches and pickled onions. 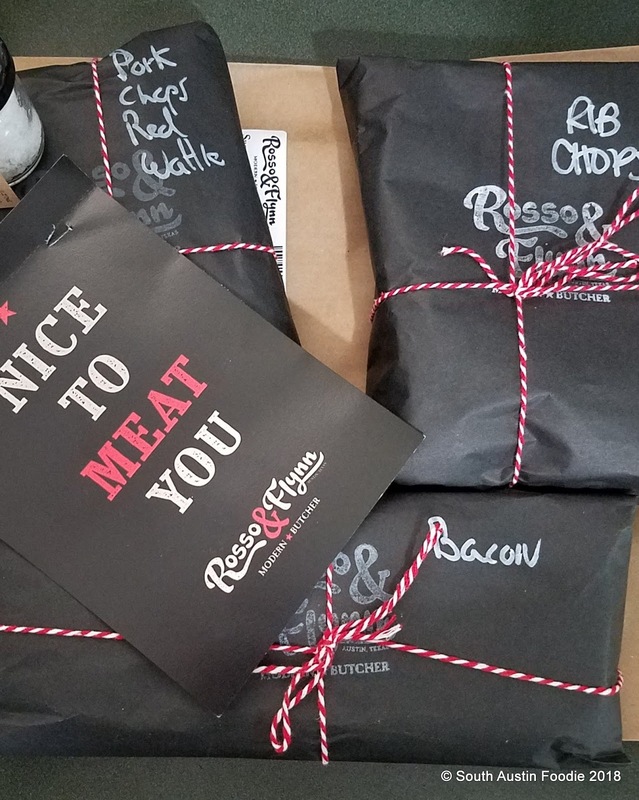 Rosso + Flynn are high quality, online meat purveyors in the Austin area. They contacted me via Instagram and asked if I would be interested in trying some of their products. Being a carnivore, I quickly said yes. 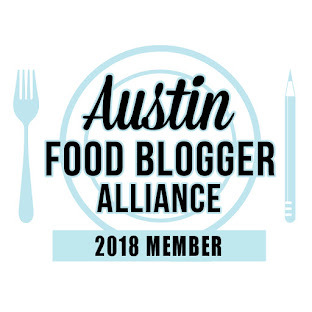 They did not monetarily compensate me nor ask for a blog post, yet here I am of my own free volition. Opinions are my own, but you knew that anyway. You can seriously taste the quality! Nose-to-tail and zero waste or spoilage - This means that our ranchers use the whole animal and we do not order anything from them that has not been sold. Nothing goes to waste. 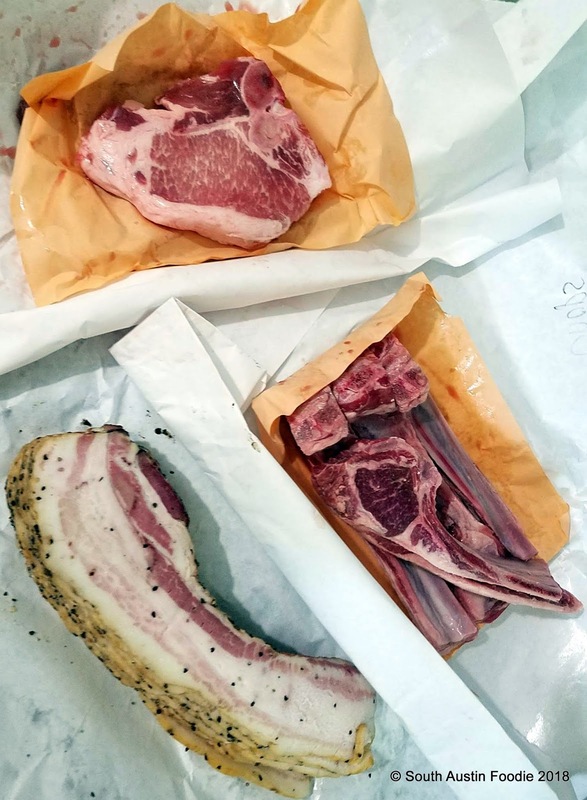 I received Red Wattle pork chops, lamb chops, and bacon. I was a happy girl! On my appointed Sunday, I left a cooler on my front doorstep and later in the day found a brown bag with individually wrapped parcels. They used the delivery service Drop Off and I was notified via email that my delivery was en route. 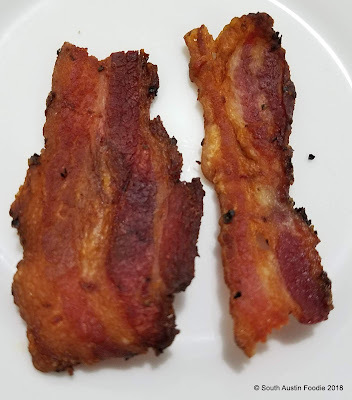 I immediately cooked up a piece of the peppered heritage bacon (Berkshire/Red Wattle from Peaceful Pork in Beeville) in my air fryer and froze the rest for later. The genius of the air fryer is it whisks away all the fat leaving an incredibly crisp piece of bacon. And yes, the golden pig butter has been saved for later. For dinner that night, I cooked the pork chops from Smith and Smith Farms that you see pictured at the top of this post. 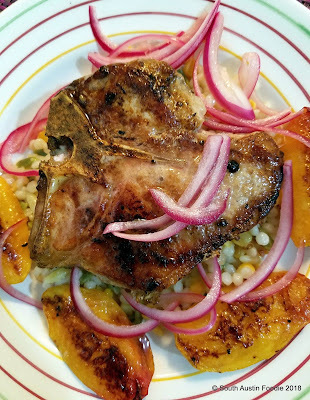 These were inch-thick big ol' juicy pork chops, with an incredible clean and fresh taste. I just pan seared them and served over pearled (Israeli) couscous with grilled peaches and pickled onions. 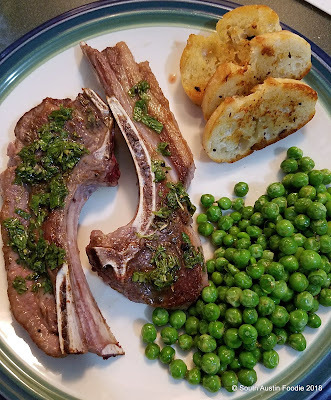 I also froze the lamb chops until I had more time to cook. This week, I pan seared them to a lovely medium-rare and made a quick fresh mint sauce (more like vinaigrette) to go with them. While I don't currently see lamb on R+F's website, ask them if they have any available. Oh, and the taste? Unbelieveable! Plus I love to gnaw on lamb chop bones. What have we learned? If you want some of the highest quality meats available in Central Texas, look no further than your computer. Rosso + Flynn has it all and then some. And they deliver to your doorstep! They also offer giftcards which might be perfect for your favorite meat-eater.